The Reserve Bank of India has proposed a steep rise in the provisioning requirement for loan restructuring - to 5 per cent from April 1, against 2.75 per cent at present. The new norms would be applicable on fresh cases. For existing ones, the raise has been proposed in a phased manner. In the draft guidelines on restructuring of advances by banks, the banking regulator has proposed to end the leeway given to banks on debt restructuring from April 1, 2015, as recommended by the B Mahapatra panel. At present, banks can maintain the same asset classification status even after debt recast, though they have to make higher provisioning, of 2.75 per cent, compared to 15-20 per cent provisioning required for sub-standard assets. According to RBI’s communication, from April 1, 2015, all loans that are restructured will be classified as NPAs. 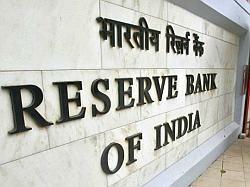 However, for loans to infra projects, the asset classification benefit would continue beyond April 1, 2015, RBI said. While the provisioning for fresh loan recast has been increased to 5 per cent, for existing restructured loans, banks have to increase provisioning to 3.75 per cent over the four quarters of 2013-14, and to 5 per cent over the four quarters of 2014-15.
banks, already burdened with higher restructuring of advances, the proposals would put further pressure on their bottom lines. They had requested the regulator not to implement the Mahapatra panel recommendations in a hurry, but it seems the regulator is not in a conciliatory mood. The restructured portfolio of banks grew at a whopping 58.48 per cent in 2011-12, while the compound average growth rate of such assets over 2009-2012 stood at 42.54 per cent. Some of banks’ large exposures restructured in the past were Kingfisher Airlines, Air India, Bhusan Steel, Bharati Shipyard and Hotel Leelaventure, among others. The Mahapatra committee expects about 30 per cent of the restructured standard advances to slip into the NPA category in the worst-case scenario. Regarding the time period for attaining viability, RBI has decided to qualify for special asset classification benefits, banks should ensure the unit taken up for recast achieves viability in eight years if engaged in infra activities and five years in other cases.